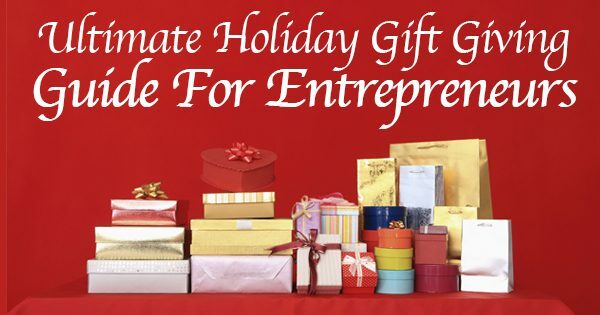 The holiday season is in full swing and while you may be on a roll with gift giving for your family, what about that entrepreneur in your life? While most people are all about books, computer cases, and planners as gifts for entrepreneurs, there are better options available. Never fear! We are here to help with this handy gift giving guide to help you find the perfect gift for the Entrepreneur in your life. Entrepreneurs have many needs and expenses, so a gift that will help their business grow or make their life easier will be much more appreciated than some random book that they probably don’t have time to read. From services to apps to subscriptions, any item on this gift giving guide will be loved and appreciated by the entrepreneur in your life. Haha ironic I know, but books are actually a great gift if it is the right book. The entrepreneur in your life probably has a lengthy book list on their Amazon Wish List, so why not give them an Amazon Gift Card encouraging them to use it for a book to help their business. Or do one better, give them a Gift Card or subscription to Audible, Amazon’s audiobook service. Then they can listen to the most recent best-seller on their way to work or their next business meeting. 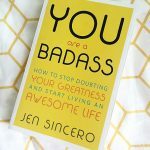 If you just HAVE to give them a book, might I suggest 10% Happier by Dan Harris and You Are A Badass by Jen Sincero. Both awesome, insightful, and not your usual business read. We entrepreneurs are always looking to learn a new trick. We are constantly signing up for webinars, reading blogs for DIY business anything, and trying to make it work for as little as possible. The gift of an online class or video series is an amazing way for an entrepreneur to learn a new trick that can really help their business get a leg up. Brit + Co. has GREAT classes to teach budding entrepreneurs new skills focused on visual needs like photoshop, calligraphy, branding, and more. They also offer fun free classes! I recently signed up for their Phone Photography Basics and can’t wait to take better photos for my clients and of my kids. Another great resource is Udemy which has over 40,000 courses for almost anything you can think of. From coding to photography to creating video and more, Udemy’s Business platform will teach any entrepreneur something they need to know to them grow their business in some way. Social Media is time-consuming and hard on an entrepreneur. They are so busy running their business and it is hard to find time to do anything with social media. With All-In-One Social Media, we take care of daily content curation, custom graphics, and Facebook advertising for only $149 per month. 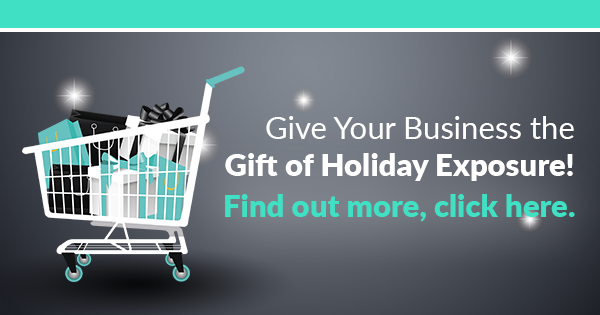 Give the gift of exposure and help their business stand out, grow, and get leads with this monthly service. 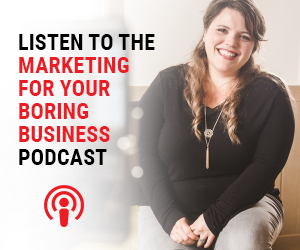 The world of images and graphics is such an important part of an entrepreneur’s marketing needs, but it is often overlooked or done poorly due to budgeting. Graphic design services can be pricey and so can stock photography. Giving the gift of design will make any entrepreneur’s marketing heart sing. Services like PugShop Design offer a low-cost monthly design service to help get high-quality marketing materials in the hands of entrepreneurs starting at just $97 per month. This gift will allow for the entrepreneur in your life to get brochures, business cards, website images, and so much more for their business. Businesses can’t just go to Google, find an image, and use it without facing some potential legal action from the owner of that image. Services like 123rf and iStockphoto give people royalty free images that they can purchase and legally use for their business. The gift of credits to a stock photography service will give them peace of mind and beautiful, high-resolution images that they can use for their business and marketing needs. As if hustling all day isn’t enough, entrepreneurs also spend a great deal of our time networking. We never know when or where we are going to meet someone who could become our next sale, friend, or partner. But all those events add up. Consider getting your entrepreneurial friend a membership to their local chamber or networking group they participate in regularly. Most local chamber websites have an event calendar listing events that are coming up with a way to buy tickets or admission on their site. Or if you want to spring for a full year membership that can also be done from most sites as well. Another idea would be tickets to a local event you think they will love. Eventbrite has a ton of events that your entrepreneurial friend may be interested in. Also, check the CVB to find out about conventions and guest speakers planned to happen in their local area. When you are working 60+ hours a week, everyday life tasks fall to the wayside. A little help from some personal care services will definitely be greatly appreciated and take away some of that domestic guilt. Eating a well-rounded meal isn’t always easy when you live in your car driving from meeting to meeting or spending late hours in the office. Blue Apron, Hello Fresh, or Sun Basket deliver healthy meals to your (or in this case the entrepreneur’s) house. They are healthy, well-balanced meals that require minimal work and prep-time. The more working that your entrepreneur friend does, the longer the to-do list gets. TaskRabbit is service designed to take care of chores and handy work around the house so you (or the entrepreneur) can live their life. Could you imagine how grateful your friend would be for a few guilt-free hours of cleaning and repair work while they take care of a pressing deadline? There is nothing worse than a clouded or busy mind. Headspace is a meditation app that makes meditation simple and brief. In just 10 minutes per day, users are able to get clarity in many aspects of their life and help with focus, clarity, and so much more. 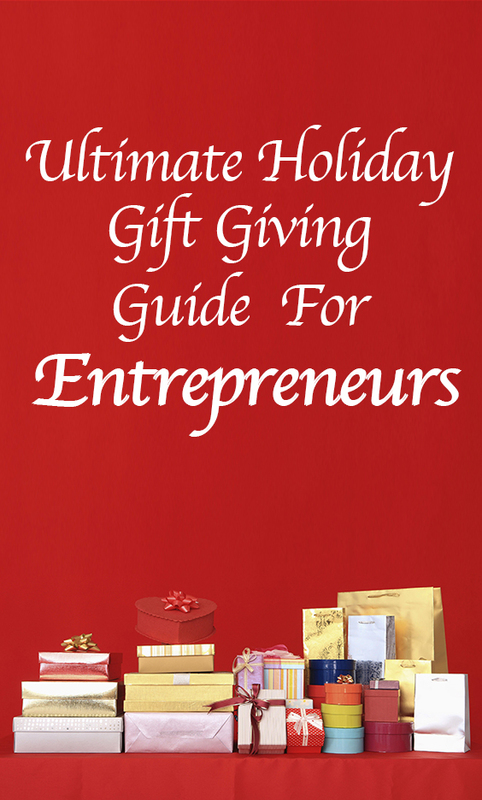 This gift giving guide is great for any entrepreneur or business owner and we know they will appreciate any of these gifts listed but will be most grateful and thankful for your support of their dream.